Come support a great cause at The 3rd Annual Harvest Moon Masquerade Ball on Friday, November 3rd. Enjoy great food, music, a silent auction, and help support your local child advocacy centers. This is a joint fundraiser for the Perry-Jackson Child Advocacy Center and the Franklin Williamson Child Advocacy Center. 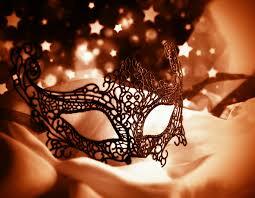 The Masquerade Ball will be held at Legends at Walker’s Bluff with a formal dinner. Tickets are $50 and must be pre-purchased. Business casual or formal attire and bring your masquerade mask if you would like! Both organizations are not-for-profit agencies that serve children birth through age 18 who have been victims of child sexual abuse and/or serious physical abuse. Their mission is to provide a child friendly setting to conduct forensic interviews of child victims and provide the family with support services throughout the abuse investigation. They both work in a multidisciplinary team environment to produce the best outcome for the child victim and their family. Celebrating 25 years of CAC services in Franklin and Williamson counties and 15 years in Perry and Jackson counties. 6pm: Cocktail Hour with live music. 7pm: Dinner Buffet with live music. 8:30pm -11pm: DJ, Drinks, and Dancing! calling one of the Advocacy Centers. Sponsorship opportunities available!